Dump & Junk offers junk removal in Cheverly, Hyattsville, Capitol Heights, Laurel, Bowie, Burtonsville, Rockville, Silver Spring, Bethesda, Gaithersburg, and in Prince George's and Montgomery Counties. We provide efficient, quality services that aim to satisfy all customers all the time. From the beginning of our growing business, we have garnered much expertise at helping customers..
Don't hesitate to contact us and ask about any kind of clutter or waste material that you may want to eliminate from your home or business surroundings. We are not only willing to discuss your needs with you, and provide a free on-site estimate, but we are also happy to eliminate almost any kind of clutter. Our Cheverly MD junk removal company is licensed, bonded and insured to haul away the mess and provide cleanup that clears and leaves your space as unencumbered as possible. Dump & Junk: You Call & We Haul! Our services stand out because we use our expertise to provide the most effective, efficient, and safe techniques that are necessary to leave our customers completely satisfied. 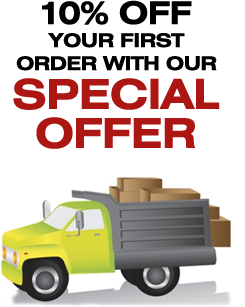 If you need junk removal in Cheverly MD or junk hauling services, call Dump & Junk today, and get 10% off your first order! We serve Maryland residents in Hyattsville, Capitol Heights, Laurel, Bowie, Burtonsville, Rockville, Silver Spring, Bethesda, and Gaithersburg. We also serve Prince George's County, Montgomery County, and all locations within a 40-mile radius of Cheverly. Cheverly, Hyattsville, Capitol Heights, Laurel, Bowie, Burtonsville, Rockville, Silver Spring, Bethesda, and Gaithersburg. We also serve Prince George's County, Montgomery County, and all locations within a 40-mile radius of Cheverly.